By definition, the substrate is the environment in which the roots grow and protect from light, they do not bear: they are photosensitive. Thus, there are several substrates culture that can be classified into two distinct categories: the soil and hydroponics. On the other hand, the so-called modern culture based on hydroponics (or literally from the Greek work of water) for plants operating in a sterile and inert substrate such as clay pebbles, rock wool, coir, peat moss, vermiculite, pozzolan ... These different substrates do not contain nutrients and require constant inputs of fertilizers and evolving through the water. Only bio-mineral fertilizers are to prescribe the climatic conditions within its area of culture and the ability of plants to absorb the inputs depending on the stage of growth or flowering, to program its tides and time using a manual controller, digital or cyclic. In practical terms, most plants are changing, their needs more water and fertilizer are important. The so-called traditional culture refers to land that requires no or little use of fertilizers, according to its fattening. 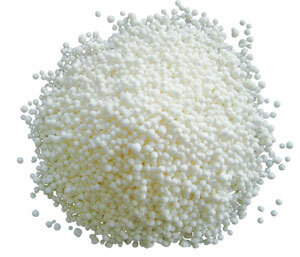 The fertilizers used in ground, powder form or liquid may be organic or organic-inorganic origin. Indeed, as part of an outdoor grow in the ground, inputs of fertilizer are not mandatory because the plants can spread their roots without limits to meet their basic nutritional needs for growth and flowering / fruiting. However, as part of an interior land under cultivation, the plants are partitioned in pots and therefore must be attentive level monitoring nutrient inputs. Already stabilized at a pH between 6.0 and 6.4, the land "ready to use" proposed by professional garden consist in most cases of different forms of peat, humus and perlite (element enabling oxygenate blending and ensure proper drainage). A ground says "light" containing few nutrients is preferred in the first potting or over the cycle of growth and blossoms, will fertilize to convenience or if land under cultivation will be conducted with fertilizers biominerals example. So a richer earth possible in the first repotting logically grows to space nutrient inputs. In general, on land under cultivation, potting two to three are expected. When switching to flowering or fruiting, it is advisable to go in a pot two to three times larger than that of growth. A simple principle to remember: the higher the volume of earth brought, the greater root mass, the greater the plants are productive!easily soluble in water and can remain in a solution (stirred regularly) ten days. However, some manufacturers of fertilizer (like GHE ) developed bioponics, a certified organic range of fertilizer (OMRI standards) and operational use under a hydroponics. Choosing the soil possible . Most inert carrier used in home hydroponic systems, the ball of clay expanded is the simplest culture medium and most convenient (reusable from one harvest to the other) for beginning growers as for confirmed. 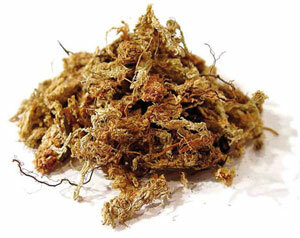 It has a large capacity of water drainage, which offers a large root oxygenation. They allow the use of irrigation "ebb and flow" continuously or alternately, without risk of saturation of water and fertilizer plants. Irrigation by tides (15/15 minutes, for example) is also very effective to maximize oxygenation to the roots and force them to grow to fetch water. For more information visit our The clay ball, what is it? This culture medium is also very common, especially among horticultural professionals; the majority of tomato crops from the food industry is carried on the substrate. Rock wool is recognized for its ability to retain water and nutrients, so its irrigation demand great attention of the farmer in the extent that it must be planned and spaced evenly over the lighting time of plants to meet their needs. In practice, the grower will take into account the volume of rock wool used, mold thereof (growth of pathogenic fungi). Rock wool, before hosting the plants must be neutralized in the 24 hours soaking in a solution of 5 to 5.5 pH because it is naturally alkaline. Warning: rock wool contains particles irritating to the respiratory tract (moisten before handling). Very cheap and very airy, coconut fiber is an environmentally friendly and renewable substrate, obtained from coconut husks. It contains antifungal and antibacterial remarkable properties. The coconut fiber is biodegradable and presents a good alternative to rock wool, the use is similar. Coconut fiber may be mixed with the perlite or ball clay to 30%, to maximize drainage capacity. Resistant to rot, it nevertheless requires special attention at the automated irrigation: a drought proved an unfortunate result acidity of the environment and development deficiencies in plants. Moreover, by its original environment and unless it is already "ready for use" (some brands offer the already processed), coir must be buffered through the use of a "buffering agent "that will come dissolve all the salts it contains and effectively prepare to receive the plants. The balls of 8-16 mm diameter provide an excellent structure for the plant roots and the retention of beneficial bacteria! Use: soak them before use. If it is too high, lower the pH. The clay pellets Gold Label have been designed with the purest clay. For the health of your plants and the environment, they are cooked in an open stove, running on clean fuels. 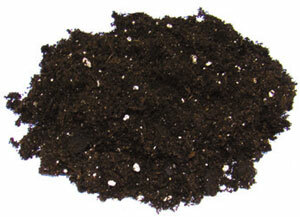 Hydroponic growing medium and essential component to any good soil mixture used in professional horticulture. The perlite is an expanded volcanic rock, essential to any land and coconut fibers (30%).It allows optimal oxygenation of the root system. Nevertheless, it requires some precautions job dry. The mask is recommended to wear because it irritates the respiratory tract. Wet, it remains harmless. But what perlite detail?